Travel + Leisure magazine has unveiled its annual World’s Best Awards for 2016, and five cruise categories reflect reader favorites from river cruising to ocean cruising. Both familiar cruise lines and newcomers made the lists this year. 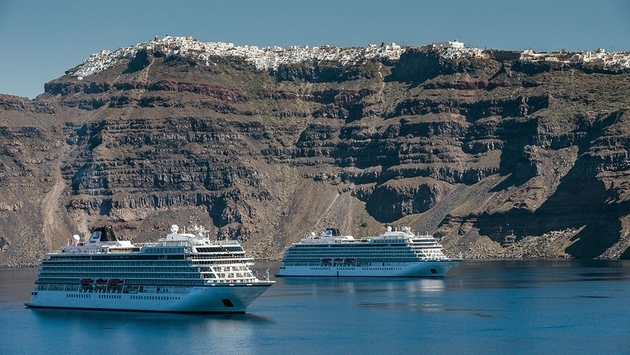 The most wave-making top ten list comes in the form of Best Large-Ship Ocean Cruise Lines with Viking Ocean Cruises taking the top spot from Crystal Cruises, which had previously held the title for 20 straight years. Among the features that ranked the freshman brand so high are inclusive carryovers from its successful Viking River Cruises brand: free Wi-Fi and free dining, that extends to its specialty restaurants. Rounding out the Large-Ship category, in descending order, are Crystal Cruises, Regent Seven Seas Cruises, Cunard Line, Azamara Club Cruises, Oceania Cruises, Princess Cruises, Holland America Line, Celebrity Cruises and Royal Caribbean International. Also of interesting note is how despite a smaller fleet, Azamara bested direct competitor Oceania, indicating that its recent ship remodels are paying off. READ MORE: What Can We Learn from Travel and Leisure's 'Best Of' Lists? Coming in behind the top three are Grand Circle Cruise Line and AmaWaterways for a total list of only five, altogether leaving out other brands like Avalon Waterways and Scenic. As river cruising continues to boom and more new riverboats come online, the segment is always in flux, and competition is stiff. Next year may very well depict an entirely different picture accordingly. Always coming out on top are the destinations themselves and the travelers that seek them out more intimately around the river bend. 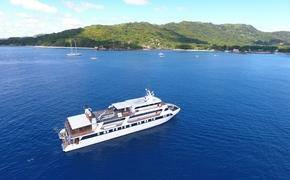 Ranking next in line are Quark Expeditions, Windstar Cruises, Grand Circle Cruise Line and SeaDream Yacht Club. Both returning to the list after a prolonged absence, Grand Circle is one company that offers small ship cruises as well as river cruises, and it’s nice to see that SeaDream still resonates even with an aging fleet. And Windstar moves the dial with its new mix of clipper ships and power yachts, formerly operated by Seabourn Cruise Line. Meanwhile, Quark Expeditions impressively joins the fold for the first time ever, proving a surge in adventure travel interest. Following the top three are Ponant Yacht Cruises & Expeditions and Regent Seven Seas Cruises. Of Ponant, a reader praised, “The company focuses on smaller ports not frequented by the larger cruise lines.” With Crystal, Seabourn and Regent luxury lines making lists, it is surprising that Silversea Cruises nor Silversea Expeditions did not warrant inclusion in any category since both are also exceptional products comparable to the competition. Even above the first-mentioned large-ship category are the Best Mega-Ship Ocean Cruise Lines like Royal Caribbean International (which came in at number five) and the biggest cruise ship in the world, the new Harmony of the Seas. Leading the list is Cunard Line thanks to its true ocean liner, the Queen Mary 2, reflecting its greatness even before its recently completed $132 million refurbishment. As such, the T+L article incorrectly mentions the ship’s former Todd English restaurant, now replaced by The Verandah.